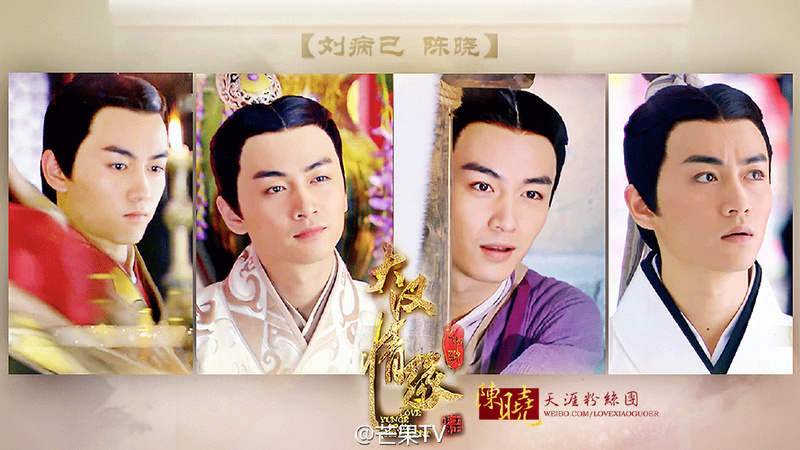 Chen Xiao is one of my favorite actors in the C-entertainment for so many reasons. Not only is he very handsome, but he also showed great acting skills and great Chemistry in a lot of his works (yes, I am thinking of his perfect chemistry with Zhao Liying in Legend of Lu Zhen). Furthermore, anytime he is on an interview, he always gives good deep thought answers and I think he really shows a great maturity and work ethics in his acting. On the love life side, he has been rumored to be dating actresses he had worked with such as Zhao Liying, Yuan Shanshan and Yang Rong. With such a pretty face as his and a love for what is pretty (look at the number of selfies he is posting on weibo, the number of artworks he has shown), it is no surprise he is doing a lot of photoshot. Here are a few of them!